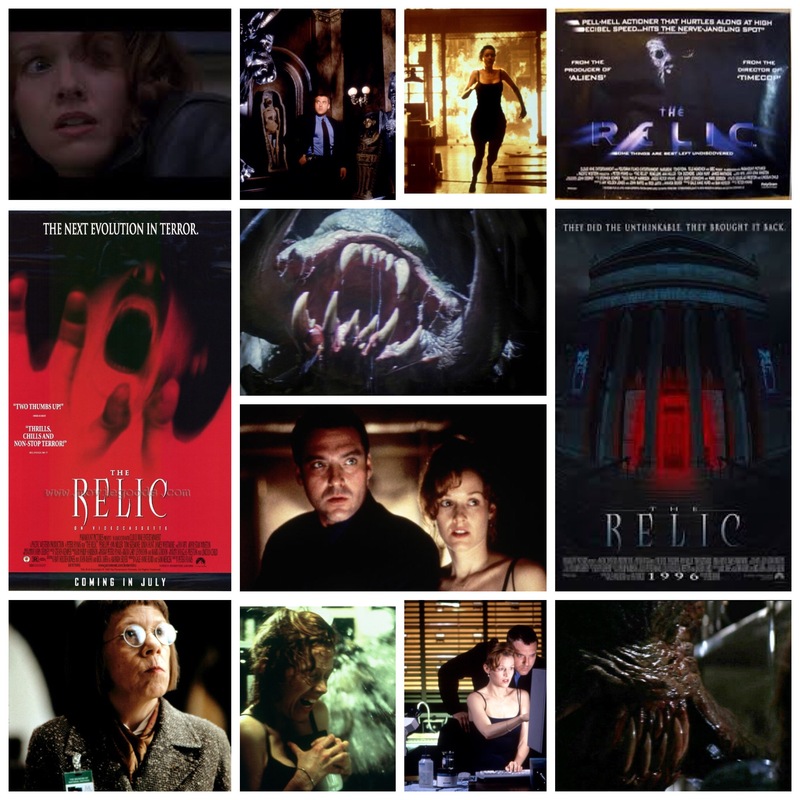 Peter Hyam’s The Relic takes a smaller horror idea that usually services a low budget production and gives it the expensive, near blockbuster treatment. The result is a pretty damn fine creature feature flick that holds up better than it has any right too. When you’ve got a director like Hyams at the wheel though (see End Of Days), who is a meticulous perfectionist and often serves as DoP in addition to directing, you’re going to get class and durability all the way. Relic takes an ages old concept and injects wild screaming life into it; When an ancient artifact is brought from the South American jungle and stored at the Chicago museum of anthropology, trouble is not far off, for as we know in movie land, any ancient relic most definitely has a supernatural curse on it. Before too long a gigantic angry lizard thing from olden times awakens, tears through the building like the stampede from Jumanji and starts eating everyone it sees. It’s up to heroic police detective Vincent D’Agosta (Tom Sizemore in a rare lead role) and professor Margo Green (Penelope Ann Miller, what ever happened to her?) to use their wits and survive long enough to defeat it. Linda Hunt, that sweet little munchkin, also has a nice role as the museum director. The film is just pure fun to watch, a solid popcorn banger that has the look and feel of an old school adventure film, or something by Stephen Sommers, albeit with a healthy helping of slimy gore. The creature is truly immense, and one feels the scope of it’s rampage as Hyam’s camera arcs through the vast hallways and mezzanines of the building, following the action in crisp, tactile strokes. Sort of a forgotten gem, but one that’s always fun to check out. Based on the first book in the FBI Special Agent Pendergast series by Douglas Preston & Lincoln Child, this was a surprisingly good adaptation. I say that because it freely jettisoned the novel’s main character and pared down the story. A totaling entertaining feature-creature, to be sure.